On June 10, 1963, President John F. Kennedy signed the Equal Pay Act. It was hailed as an important first step in achieving gender equality in the workplace. 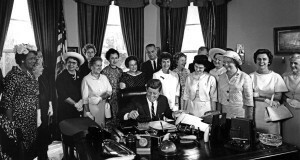 JFK signs the Equal Pay Act. 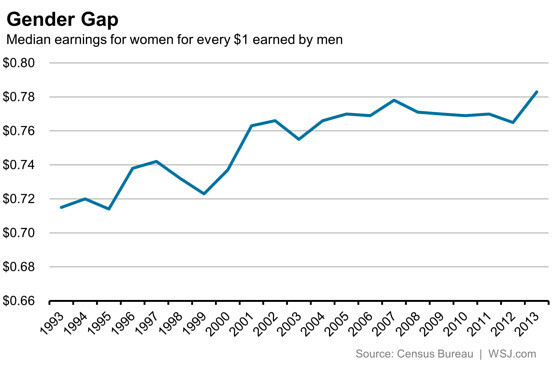 52 years later, women are still making less than men. In 2015, a woman working full-time makes approximately 79 percent of what a man makes. At its current rate, the gap won’t close for another 43 years. Waiting for the year 2058 to come around is a bad idea. The gender wage gap is an issue that affects everyone. We all have a mom. Others have aunts, sisters, girlfriends, wives, or friends who are women. 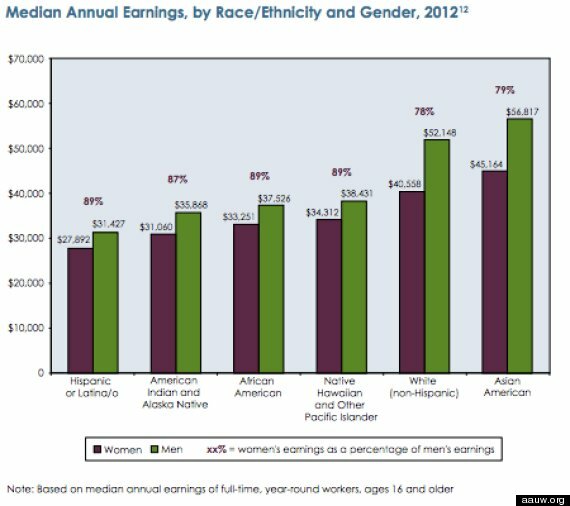 Gender wage gap by ethnicity. If you care about these people, then you should care about the gender wage gap. The issue, however, goes beyond a personal level. Women account for 80 percent of all Medicaid recipients, and 70 percent of all Welfare recipients, according to economist, Heidi Hartmann. Equal pay would allow women to become less reliant on governmental assistance. It could even create an added incentive for women to join the workforce. A 2011 McKinsey & Company study examined the vast benefits the American economy could earn from women. The study showed the American economy would be approximately 25 percent smaller if women were not a part of the workforce. That sounds impressive, but it should be even larger. Seventy-six percent of all women aged 25-54 are in the workforce. That same statistic is currently 87 percent in Sweden. The economy would grow by 3-4 percent if America’s average could rise to just 84 percent. 3-4 percent may not sound like much, but don’t be fooled. The American economy grew 2.4 percent in 2014. This was America’s largest economic growth since the Great Recession. The numbers don’t lie. Americans of all genders and ethnicities would benefit greatly from equal pay. Arguing against gender income inequality would be a disservice to the “American Dream” we all know and love.